Thursday, October 27 at Pine Box Rock Shop, 7 pm to 10 pm, $3-5 suggested donation. Bushwick Bark, a local shop offering “natural” dog food and supplies (because who wants to actually think about what’s in most dog food) is taking over vegan bar Pine Box Rock Shop for a costume party tomorrow evening. Don’t rush to your closet to throw something together, because this party isn’t for you. It’s for that little furball scurrying around, sometimes eating your shoes. Turn those shoes into a creative outfit for your doggie and show it all off to a panel of “celebrity judges” while sipping $4 drink specials. Just don’t give the beer to your dog, please. For the more general animal lover, know that the money raised via donations and drinks will go not only to SugarMutts Rescue but also to Bushwick Street Cats. I like to think Bushwick Street Cats is the name of a gang consisting only of very tough cats, but you can look into that yourself. Saturday, October 22 at Tompkins Square Park, 12 pm to 3 pm, $5 suggested donation. Known to be one of the biggest gatherings of dogs on this green Earth, the Tompkins Square Dog Parade brings dogs of all shapes, sizes, and colors to one area for a delightful display of creature couture. Expect hundreds of dogs, all competing for the coveted title of Best in Show. If your dog doesn’t win, I’d recommend soothing your crushed spirits by watching Best in Show afterward. You’ll always have another chance, as this canine event doesn’t seem to be going anywhere: this year marks its 26th iteration. Saturday, October 22 at Irving Square Park, costume contest at 1 pm, event ends at 3 pm. 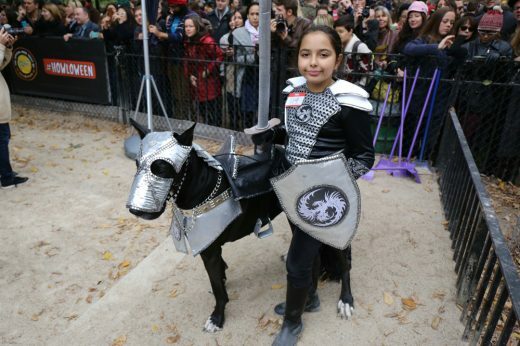 Whether you want to make a day out of October dog parades or you don’t want to leave Bushwick, Friends of Irving Square Park has got you covered with their third annual Howl-A-Ween dog costume festival, happening the same day as the Tompkins Square parade. If outfits aren’t exactly your thing, there will also be a slew of “canine wellness features” (according to Bushwick Daily), such as a Q&A with Bushwick’s “neighborhood vet,” training tips, and even a lesson on “dog reiki,” which I find so bewildering I’m not even sure what to say about it. There will also be opportunities to adopt a pup of your own courtesy of SugarMutts Rescue, as well as dog licensing by Dawgs All Day, and a DJ, who is most likely a human but I hope is also a dog. Saturday, October 15 at Symphony Space, screenings at 11 am, 2 pm, 5 pm, and 8 pm, $15 per screening bloc, $40 for all-access pass. Maybe you’re the type of person who thinks dogs are really great, but you’re not exactly too keen on owning one. Maybe you’re allergic. Maybe you had some sort of past experience and now IRL dogs make you sqiurm but virtual dogs give you joy. I don’t know. Either way, there are unfortunately no real dogs allowed at the Dog Film Festival, which returns to the Upper West Side’s Symphony Space this coming Saturday. 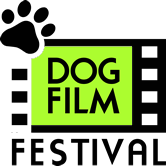 Screenings are organized into themed groups, with cute and heartwarming choices like “Dogs British Style: the English View of Dogs” and “Who Rescued Whom?” If you do have a dog you don’t know what to do with while you take in some cinema, the festival’s “official doggy daycare,” Camp Canine, isn’t too far away.